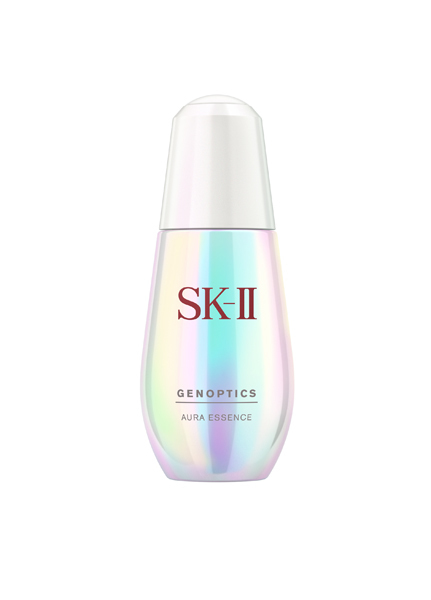 All Posts Tagged With: "dry skin"
To help combat the effects of the long, dry winter months and restore skin’s natural radiance in the new year, SK-II introduces their new GenOptics collection – SK-II GenOptics Aura Essence & SK-II GenOptics Spot Essence. After a busy holiday season leaves skin dull and dehydrated, these new lightweight serums will brighten and hydrate skin to reveal a radiant, glowing complexion. NEW from Lumene and available at CVS/pharmacy the Lumene Sensitive Touch 5 Min SOS Cream. I’m into clean, perfume-free, and non-greasy body creams and this products by Lumene is just perfect. Lumene Sensitive Touch 5 Min SOS Cream is formulated to help dry, cracked, irritated skin. It can be applied to face, body, heels, elbow and hands. It’s alcohol-free, colorant-free, and paraben-free, and silicon-free. Other ingredients: 100% organic Linen Seed, pro-vitamin B5 and a new calming technology terapeptide. Hollywood’s leading ladies such as Zoe Saldana and Demi Moore stepped onto the red carpet at Oscars 2010 looking gorgeous and glowing from head to toe, showing no signs that they have been effected by the winter weather that has left the rest of us and our skin in need of rescue. In an easy 4 steps, anti-aging skin care specialist Dr. Adrienne Denese gives you the answer to how celebs shed the dry, dull skin of winter and how you too can achieve the same red carpet radiance! CHANEL introduces new skincare for Spring: CHANEL Hydramax + Active Nourishing Cream for Dry Skin & hydramax + Active lip care, and UV Essentiel Multi-Protection Daily UV Care SPF 50. Hydramax + Active Nourishing Cream for Dry Skin: Extremely dry skin not only lacks moisture at the heart of cells, it also lacks lipids — nutrients that form a protective barrier that maintains and controls skin’s hydration levels at the surface and deep within the epidermis. 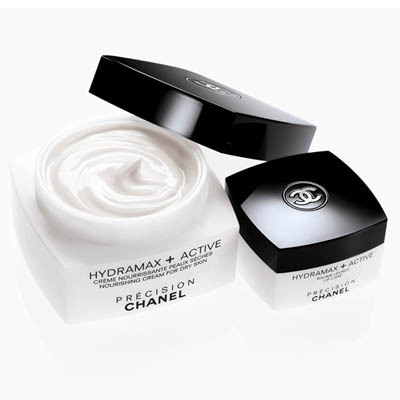 To answer the special needs of dry skin, CHANEL Research reveals the latest addition to the HYDRAMAX + ACTIVE Collection: HYDRAMAX + ACTIVE Nourishing Cream for Dry Skin. 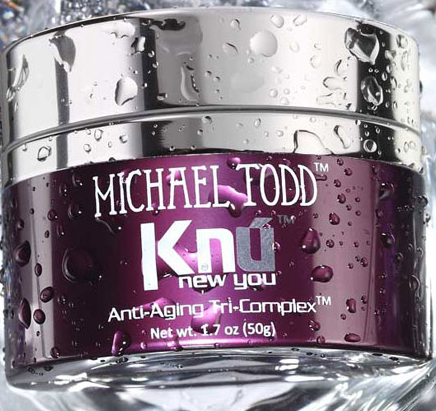 Just tried and loved Michael Todd Cosmetics KNU Anti-Aging Tri Complex moisturizer, $130. It is THE perfect moisturizer for the cold and dry winter months because it is thick and super hydrating. 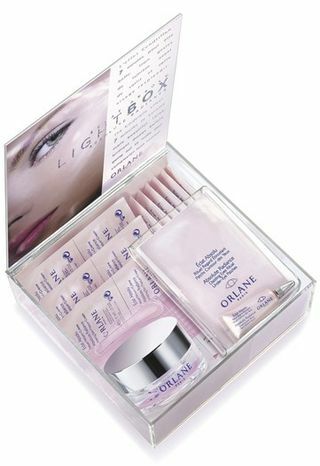 Did you know that this cream has a high concentration of purified snail secretion? According to the Michael Todd website scientists have concluded that this same substance can aid many human skin disorders because of its regenerative properties. Who knew? I’m an Escargot fan, that means I eat snails. Really, I love Escargot. Does this also mean it’s good for me? Food for thought for sure. Nevertheless, my first reaction to KNU Anti-Aging Tri Complex was: “WOW”. Combat dry and dehydrated winter skin with Sunday Riley’s NEW Juno Serum and L’Occitane’s NEW Shea Face Care. The holidays are a fantastic time to relax with a hot toddy (or four) and catch up with friends and family. But what to do when your 20-minute cameo at a holiday fete turns into all-nighter? We’ve scooped these look-fresh tips from the Bloggerati to keep you focused on getting your hands on that egg sandwich–not on how pale and tired you look. ENESSA’S New Organic Shea Body Souffle features African Shea Butter with natural nutty scent, citrus oils & no artificial colors or preservatives, moisturizing dehydrated CHAPPED skin in cold dry weather. 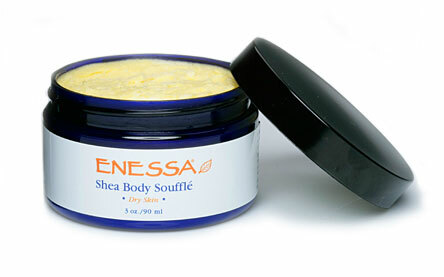 I like to use the ENESSA Organic Shea Body Souffle on small areas at the time such as my legs, elbows and feet. It smells a bit like citrus and clean. And my skin keeps super soft for hours. More about ENESSA Organic Shea Body Souffle: A moisturizer that has that feels like velvety smooth butter with colorful textured grains, the new Shea Body Souffle by Enessa is a luxurious blend of organic oils that richly moisturize dehydrated, chapped skin in cold or dry climates.